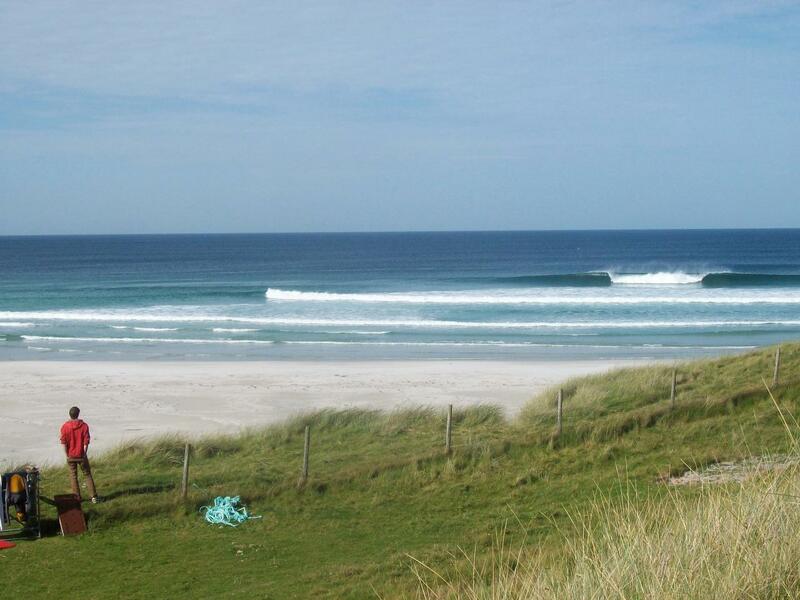 Based in the Hebridean Islands these surf courses are the best thing we do! Beautiful locations, empty beaches, experienced instructor/guides and consistent surf make for an ideal surf holiday. Food, ferry tickets foot passenger is £30 return (Islands) . We have booked an excellent 4 Bedroom house in the north of Barra with 3 double rooms and a further room with 2 single beds. Please contact us to check accommodation availability and make up of beds reserved. This house will be offered to three couples and two singles. If there are more single people that wish to do this tour than spaces in the accommodation we can look to offer spaces in another Island house or camping close by. If camping prices would be at the same charge as the camping tours.